Thank you! 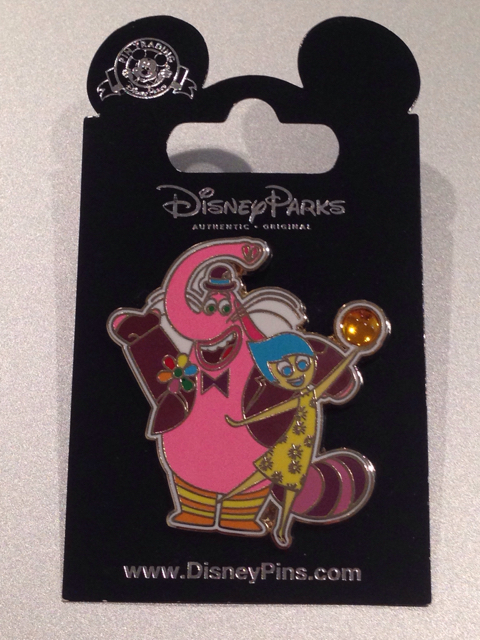 We received two pin it up pin zaps today. 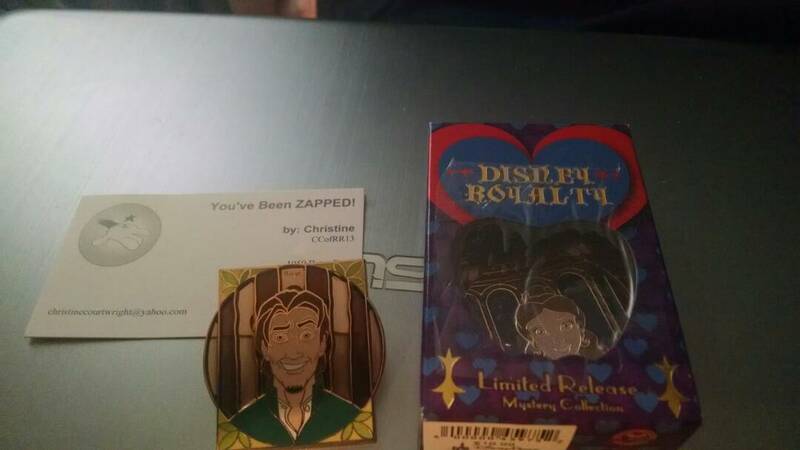 One was the royal mystery pins from Christine (I am trying desperately to complete this set with very little luck) Thank you so much! The second was a mystery Sven that was for my roommate Nena. Thank you Emily it was absolutely perfect! She also sent me a Snow White post card that I intend to frame in memory of my Mother! Received the Zaps from Spr175psu today and all I can say is WOW! 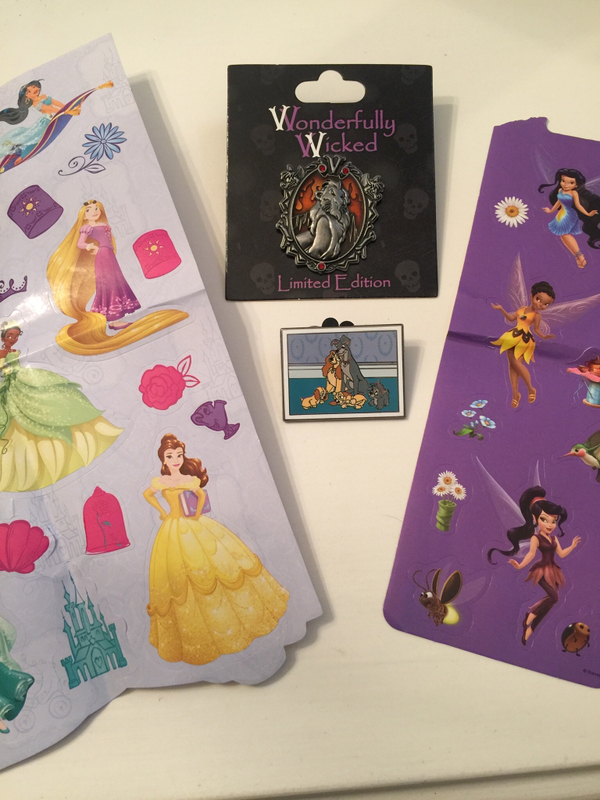 My daughter and I started pin trading shortly after the Wonderfully Wicked series came out and Scar has been the wants list for awhile. LATT with puppies is the last one needed to complete the LATT film set. Both pins go to Haunted JR as she collects all cats and dogs - the good ones and the wicked ones. Thanks so much!! Plus a couple of Ghiradelli chocolates. Yum! Thanks so much Tessa! Received my zap from watzshakinbacon and I am super excited! I've had my eye on this bolo set and stromboli is the first one I get, plus it's extra special bc of the zap. I like keeping the boxes so that was just an added bonus, and the kakamora Tsum Tsum will be right at home in my collection, thank you Erin! Today I received my zap from AshleyV. 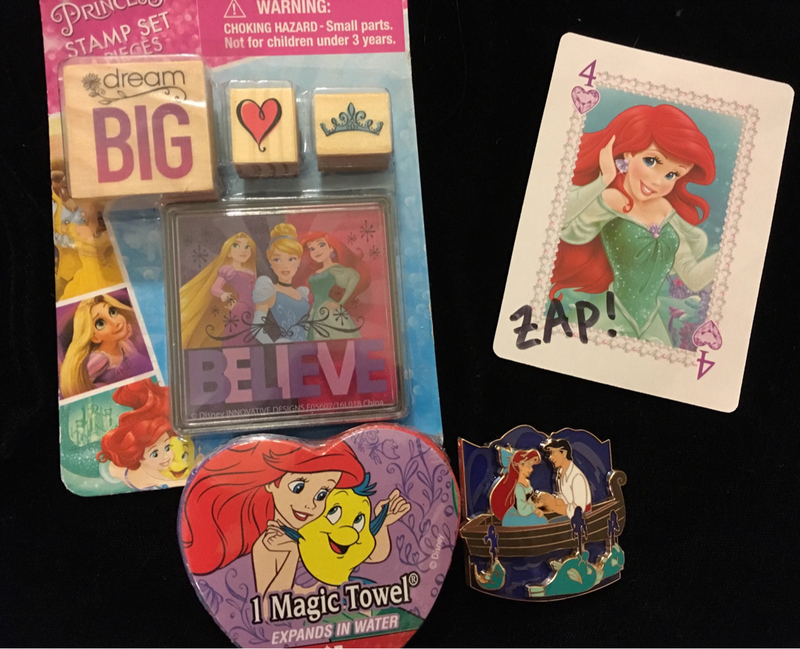 Thank you so much Ashley for an amazing zap package!!! 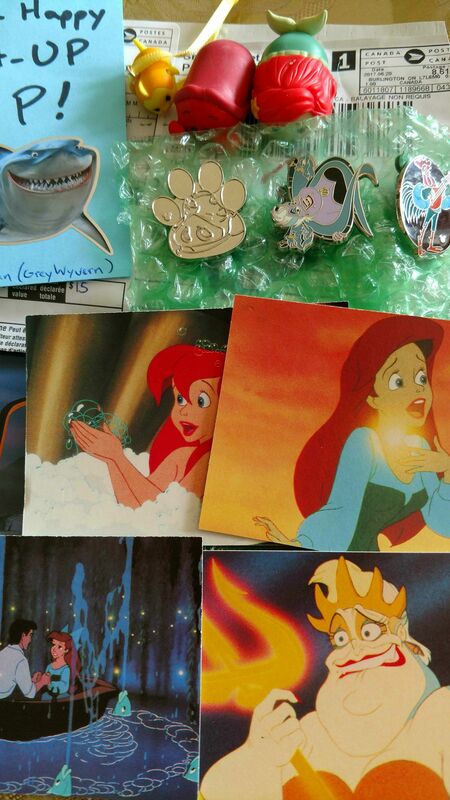 -Beautiful Little Mermaid pin (AHHHHH. I love it!!!!) This pin was specifically off my pinpics list. So it was beyond exciting when I realized what pin was in the bubble wrap. -Stamps!!! Super cute. I also love sending cards. So this is perfect for that! So much little mermaid!!! Such a special package! Thanks so so much Ashley!!!! I received these three amazing pins from GoofyinMadison (Debbie) today. They're absolutely perfect! 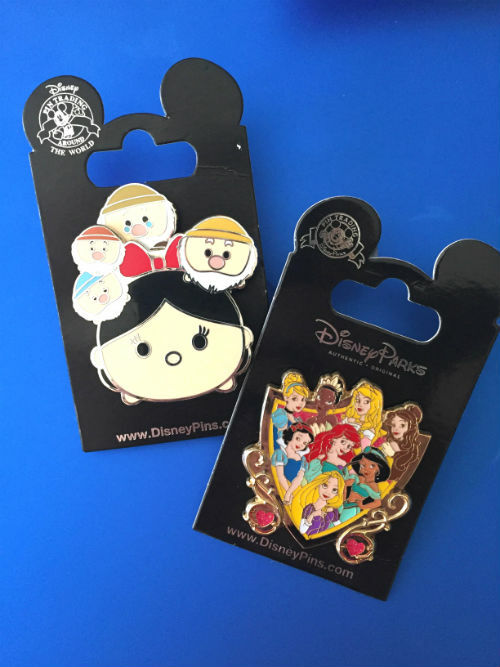 I've been trying to track down the rest of the bird pins (curse you, pesky ducks) and the Tink pin is going to look great with the rest of her sisters! (Cousins? Clones?) Thank you so much! This was a great pick me up since I'm on the second day of my three-day final exam. X) I will cherish these. 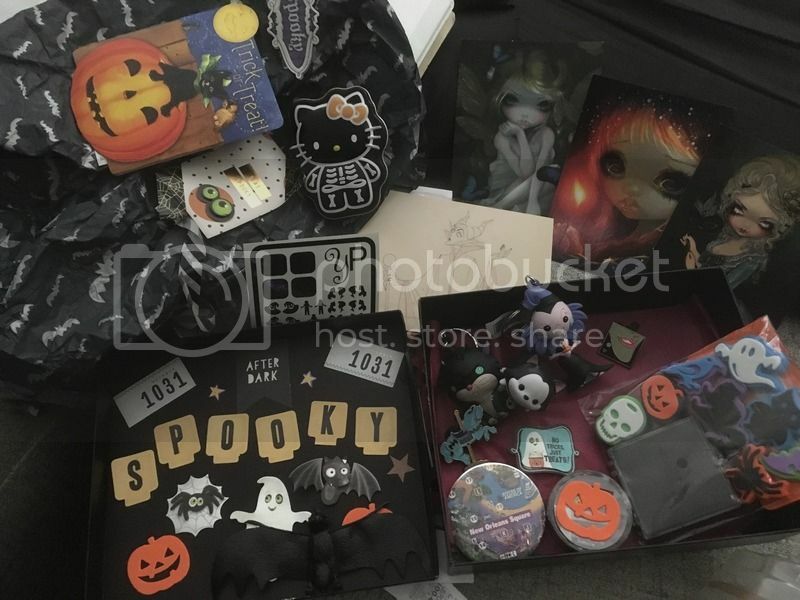 I received my Pin it up package today from JPrincess! Thank you so much - everything is awesome! 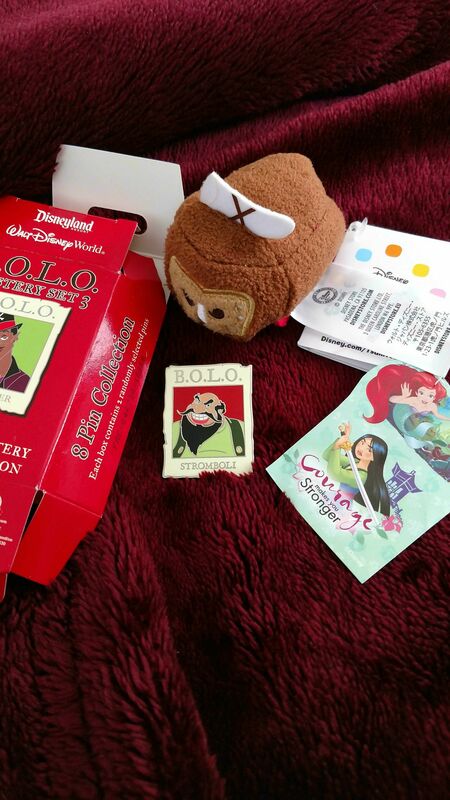 I especially love the Chessie postcard and Stitch Tsum Tsum keychain and pin. Even the envelope was adorable. Thanks again! Another wonderful zap from maiarebecca. Thank you so much! My nephew is going to love it! Wow, there have been some really great zaps! 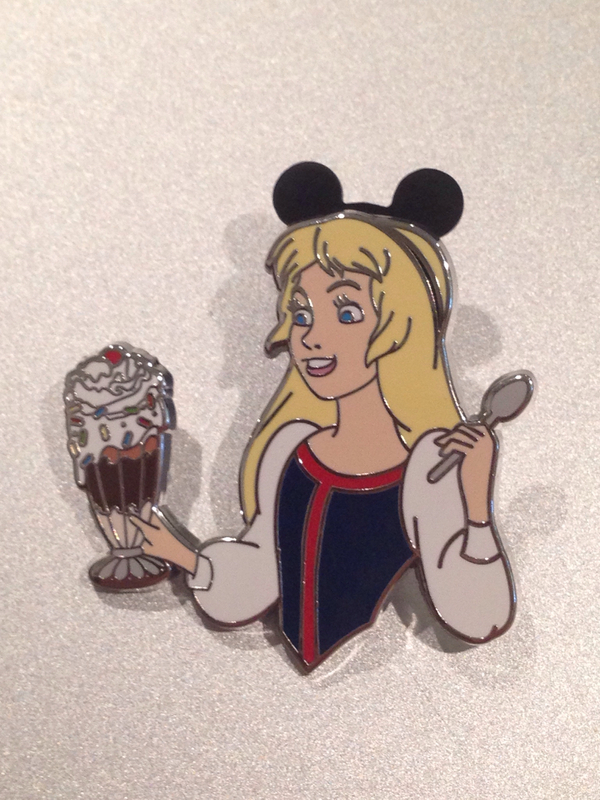 I knew I didn't have anything on your wants AshleyV so I just sent two pins with Snow White and kept my fingers crossed. I am glad you got something you liked. I got my zap from Rocke01! Two pins that fit perfectly into my collections. I had asked her to pick up Eilonwy and Robin Hood at DSF. I already paid for Eilonwy, but she zapped me the R AND a really cool Inside Out pin. 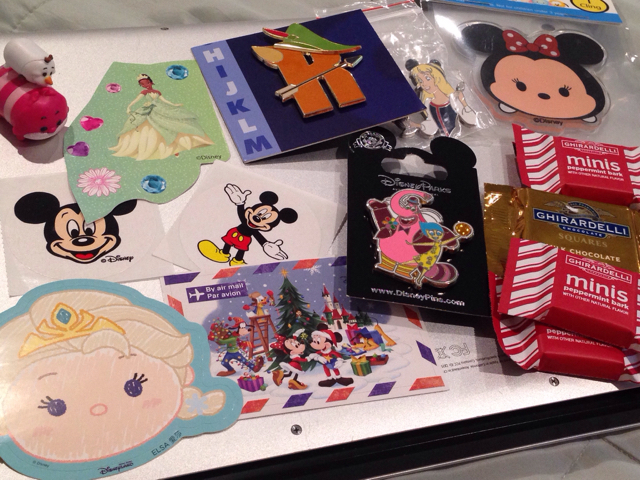 Plus, a ton of stickers, candy, and a cute little Minnie gel cling. Thank you so much, Tessa!!!! Cutest zap ever, just received my zap from GreyWyvern. 3 wants checked off for me and bonus gifts, thank you Brian! Such fun! And the extras bring extra joy!!! Holy cow! SoraPandora you are amazing! I received a BOX of goodies from Sara today and omg it couldn't have come at a better time! I'm in the middle of moving and have been a bit stressed and depressed lately. I am so touched by the extreme lengths you went to putting my zap together! Look at the gorgeousness! Thank you again Sara for everything, it means the world to me! I had a lot of fun putting it all together. 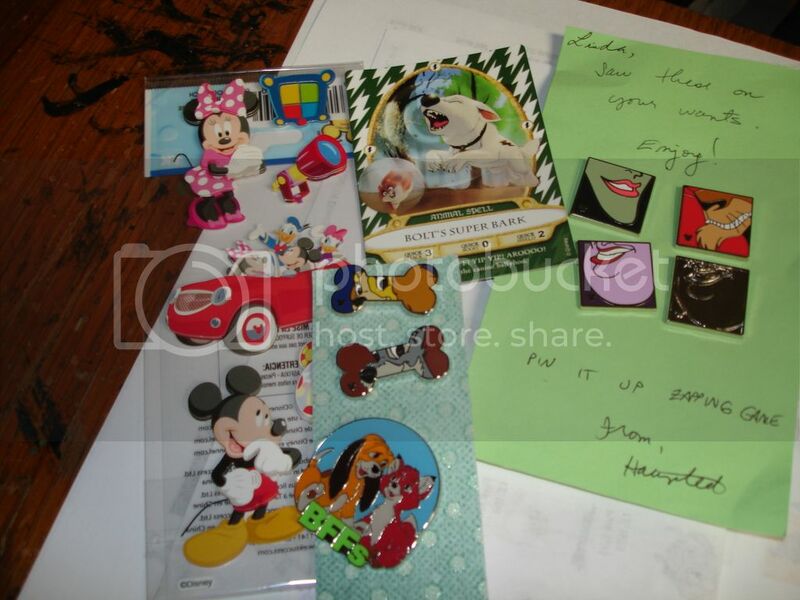 I got this awesome package from Disneychildwithin, including a beautifully handmade card. Maz is adorable! She was my favorite character from Force Awakens. And Simba is so squishy!